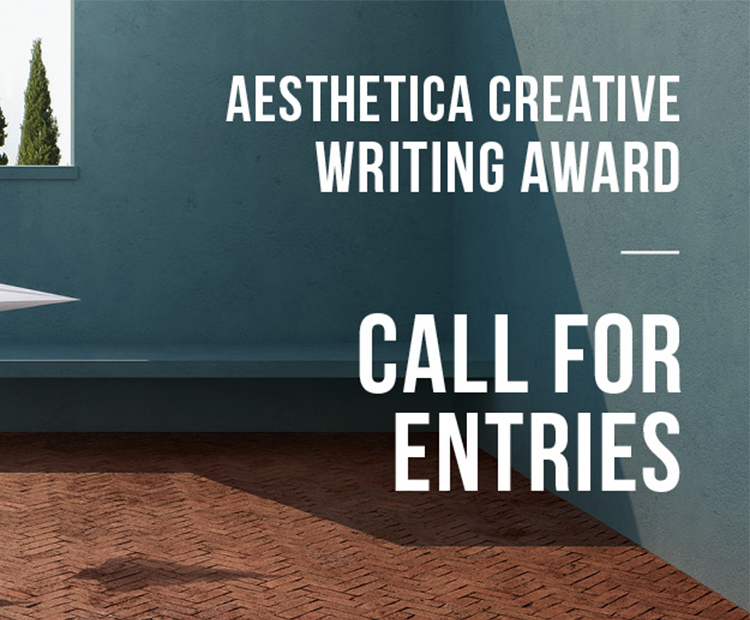 The Aesthetica Creative Writing Award is an international literary prize that is a hotbed for new talent in Poetry and Short Fiction. The Prize, now in its 13th year, is organised by the art and culture publication, Aesthetica Magazine. Every year, they support both emerging and established writers and through the Prize, they offer publication in an anthology that is an inspiring collection of narrative and poetic forms. Aesthetica offers opportunities to creative practitioners working in various media through two further awards including: Aesthetica Art Prize and the BAFTA-Qualifying Aesthetica Short Film Festival (ASFF). They are passionate about supporting new creative voices across a range of disciplines and this is at the heart of everything that they do. Further essential information, including submission guidelines can be found on the Aesthetica magazine website.